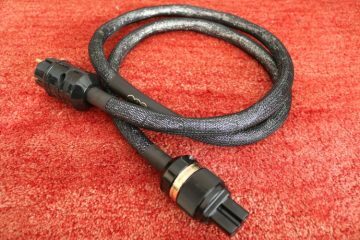 Apparently LessLoss cables were something special but somehow I never got around to try them for myself until a close friend got seriously hooked to the brand and brought some of his cables over. 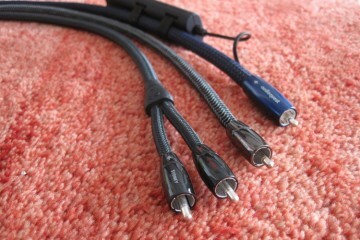 As it turns out, LessLoss cables are indeed something special. 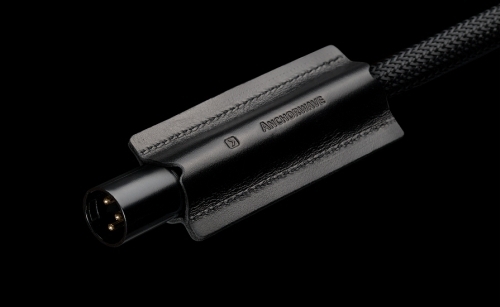 A very supple cable but a real heavyweight, the Anchorwave instills confidence even before the listening has started. It weighs a lot more than a Transparent Ultra XL XLR cable in spite of the big metal boxes attached to that cable! The LessLoss cable had been run in by its owner so serious listening could start straightaway. 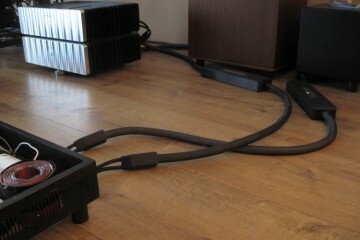 My source is the AAZ Ultra Flow music server, connected via KingRex uArt S USB cable to the PS Audio PWD MKII DAC. 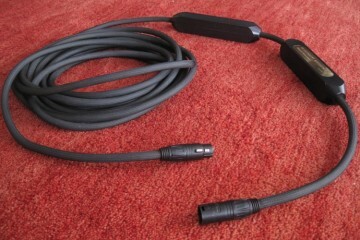 My normal cables for this DAC are the Cardas Hexlink Golden 5C, so first up was a direct comparison between the two. The Anchorwave has big, deep bass, offers ripe and colourful vocals and adds to that a creamy, silky-smooth treble. It has a friendly character and is a lot smoother and creamier than the Cardas, making the latter sound dry in comparison. You’d think that all this smoothness would come at the expense of dynamics or speed but here there’s no loss in those departments, nor does the Anchorwave sound congested or slow. Compared to the Anchorwave, the Cardas sounds a lot drier but on balance (compared to various other cables) I don’t actually find it to sound dry. It’s just that the Anchorwave is so much richer in sound that it appears as such. But for all its comparative dryness, the Cardas does do better than the Anchorwave in the detail and transient department: it is more finely detailed, more upbeat and has a more acoustically convincing sound. Both the Cardas and the Anchorwave were preferred at one time or another, based on what music was playing. 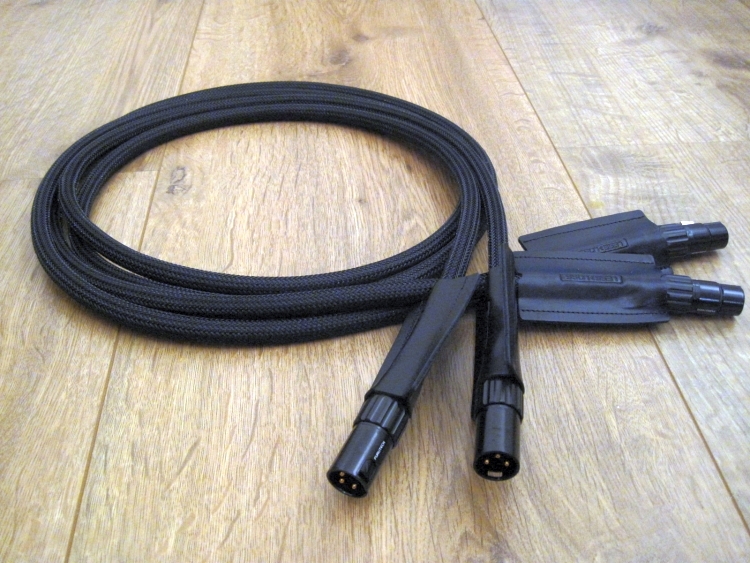 There are things to say for both cables but for me the Cardas ultimately is more emotionally appealing, even if it sounds less luxurious. This comparison would be interesting because Transparent has similar qualities as the Anchorwave. Actually, the owner of the Anchorwave preferred it over his Transparent Reference XL and with me being a Transparent-fan, you can imagine my curiosity! Compared to the Anchorwave, the Transparent Ultra sounded again, you guessed it, drier! Yes, the Anchorwave really is one smooth sailor. I’d never say that the Ultra sounds dry but compared to the Anchorwave it sounded a little matter-of-fact. But the Ultra also laid bare a weaker area of the Anchorwave: its resolution. Smooth and seductive though as the Anchorwave was, the Transparent easily beat it in the finer detail department, having much more refinement and fine expression throughout the entire frequency range. You could say that the Transparent Ultra XL is like a mix between the Cardas Hexlink and the Anchorwave. 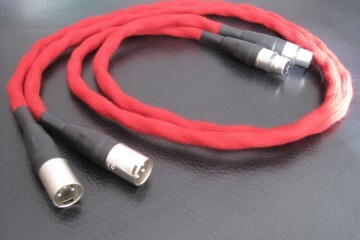 After listening longer, the feeling of dryness subsided and we could again just enjoy the Transparent cable. However, when we tried the same with the Anchorwave, we couldn’t ignore the feeling of missing detail any longer. Also I have to admit to liking the Transparent’s larger soundstage and better layering. Mind you I’m not talking about a forwardness or anything else relating to distortion artefacts. The Transparent cable is absolutely free from harshness and projection but somehow manages to combine smoothness and fluidity with high resolution is a better way than the Anchorwave. Bear in mind though that the Transparent costs double the Anchorwave’s entry price. The final test was a comparison against the Transparent Reference XL. This cable is normally connected between my preamp and poweramps. 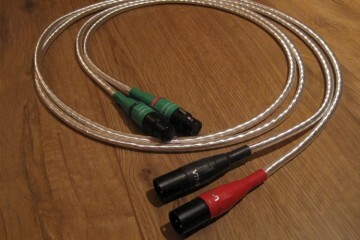 The owner of the Anchorwave preferred it for its fuller sound and has actually sold the Transparent cable because of this. But given my results with the Transparent Ultra I had a hunch of what was coming. Indeed: the Anchorwave sounded even smoother than the Transparent Reference XL! 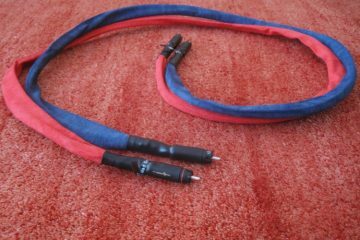 Now, you should know that the Reference XL is one of the smoothest cables I know and if the Anchorwave goes beyond that then it should be noted that it deviates a fair bit from neutrality. I have nothing against coloration though and actually think that it can help analytic systems sound more musical. It’s all a matter of balance. But back to the test: here again the Anchorwave sounded very pleasant: smooth, rich, fluid and downright musical. But apart from the earlier noted lesser resolving power and more diffuse soundstage layering, the Anchorwave now also sounded slower and less dynamic. Clearly, between my pre- and power amps the cable wasn’t performing its best. My amplifiers use transformers as interfaces and it could well be that the Anchorwave wasn’t reacting well to this. 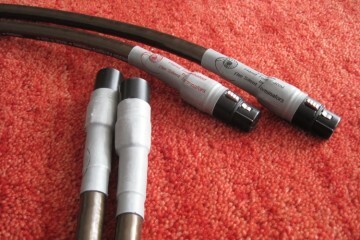 On the other hand, my Transparent cables have filtering that is also cause for mismatch with some components. Strangely, with my Rowlands (and their transformer-coupled inputs and outputs) that is never a problem. Also let’s bring in some perspective: the Transparent Ultra XL costs 2000 euro and the Reference XL costs 4000 euro. 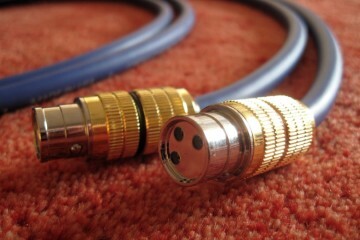 The Anchorwave plays at the same overall quality level as the Cardas Hexlink Golden 5C, which was the brand’s top cable at the time. The Anchorwave by contrast costs less than 1000 euro! Considering this I’d say that it performs admirably! The DFPC Signature has a similar character as the Anchorwave interlink but less extremely so. It also turns out to be more universally applicable. But I’m getting ahead of myself. 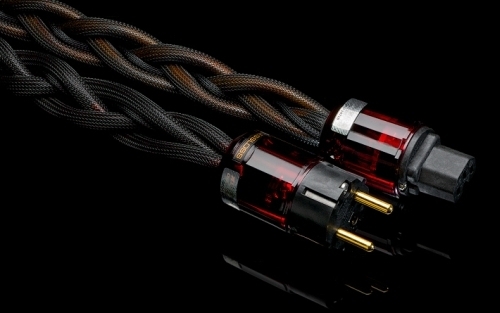 The PWD MKII is normally powered by a Lapp 7G1,5 191CY powercable with 24k gold IeGO connectors. The Lapp is not perfect but has a very nice, full sound with big bass, a smooth midrange and smooth but a little dark treble. 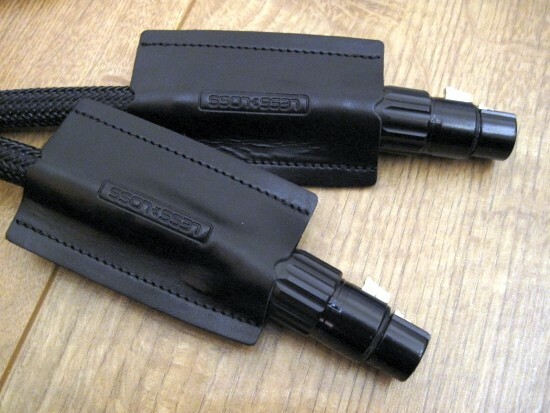 I find that it matches well with the PWD MKII because it ameliorates its dryness very effectively. The DFPC Signature does the same thing, but with much more gusto! It is smoother and sounds fuller and is a lot more luxurious than the Lapp. “Sure it would be against a Lapp”, I can hear you think. But don’t underestimate the Lapp. 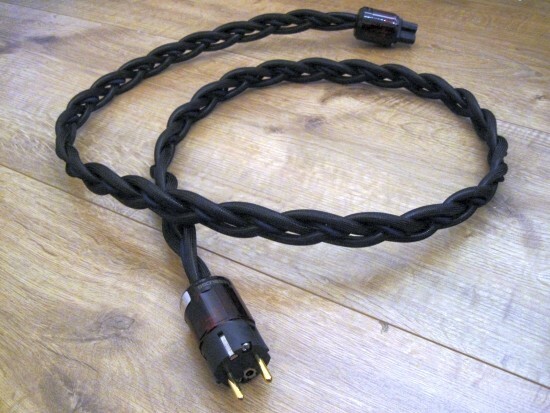 I have compared this type to a lot of other powercables and on this source I could find no better match. The very expensive Echole Obsession Signature was super-refined and indeed very nice but it lacked acoustical believability. Harmonic Technology Pro ACII is more refined than Lapp but lacks some dynamic expression and bass fulness compare to the Lapp. Furutech Alpha 3 is more detailed and dynamic than the Lapp but lacks colour and smoothness. I could go on but I think you catch my drift. The DFCP on the other hand just manages to convince me on all accounts. It makes the PWD produce a very seductive sound and it does this without taking away other qualities. Although transient speed and dynamic expression might appear to be somewhat mellowed, actually PRAT and drive are very good: there’s plenty speed and drive and the overall impression is of a very involving sound. 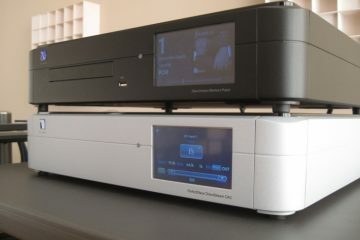 It works well with the PS Audio PWD MKII and I suspect that it will work well with Wadia CD players, too. The Anchorwave has no sins of commission, only of ommission. It has a very forgiving sound full of charm and harmonic richness and I like it a lot for what it does well. 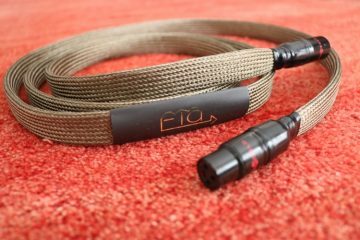 In fact, I think it is the most musical cable I know for less than 1000 euro. My system however, mostly due to the Magnepans, has a lot of resolving power and the Anchorwave doesn’t do that justice. But my system is a little extreme and I think that the Anchorwave would do very well in many less extremely resolving systems. The owner’s system (hardly entry-level) is proof of this! The Anchorwave plays at the same overall quality level as the Cardas Hexlink Golden 5C, which cost several times the Anchorwave’s entry price at the time. At the Anchorwave’s price level I know of no cable that sounds more musical and I’d say that on balance it performs admirably! The DFPC Signature is simply an awesome powercable. Like the Anchorwave it isn’t strictly neutral: I’d say that it tends to a warmish smoothness but there’s nothing wrong with that and I actually like its mix of smooth, creamy, luxurious sound on the one hand and excellent speed, drive and PRAT at the other hand. 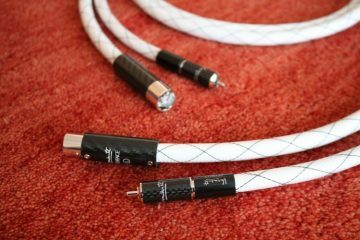 There are faster, more resolute cables around, but none that I have heard so far that match the Anchorwave’s superb musicality.